Sony has sealed a deal with Vue cinemas in the UK for the use of its excellent Ultra HD cinema projection technology. 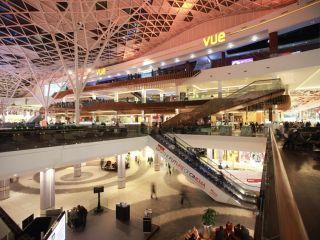 Vue Entertainment is one of the biggest cinema operators in Britain with 68 sites and 657 screens and it has announced its plans to roll out the Sony 4k digital technology. Apparently this marks the start of Vue's transition to digital projection, and the tech should be rolled out across the chain's circuit. Tim Richards, CEO, Vue Entertainment, said: "We are very excited to have signed a Memorandum of Understanding with Sony Europe for the deployment of their incredible digital 4K projectors across our circuit." "This represents a fantastic long term investment for the company offering numerous benefits to the business including a new world of programming flexibility and greater choice for our customers." David McIntosh, Sony's head of digital cinema in Europe, commented: "We are delighted to have reached such a significant agreement with Vue Entertainment. "This agreement means that Sony 4K projectors will be powering a significant proportion of the total screens in the UK, which validates our belief in our superior 4K technology. "This also is set to be a landmark agreement paving the way for further Sony 4K deals throughout Europe."